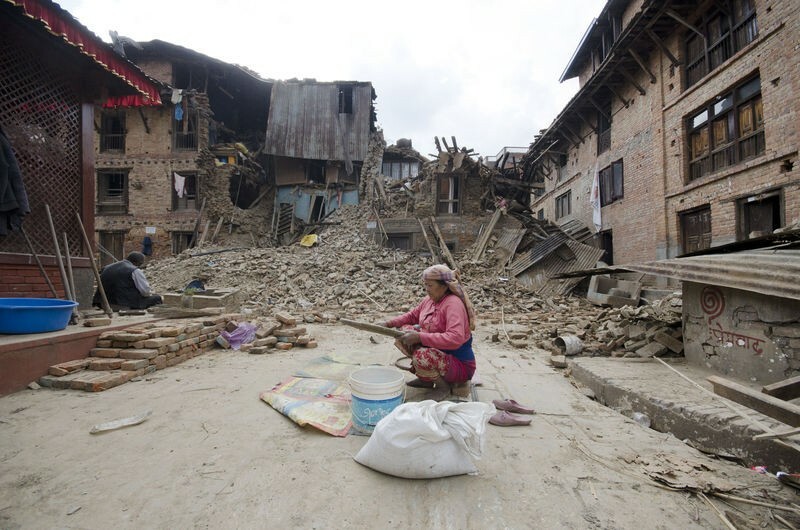 The death toll from the massive earthquake that struck Nepal on April 25, 2015 has already crossed 5,000, and according to estimates may reach as high as 10,000. More than 8,000 people have been injured. The extent of damage from the earthquake and its aftershocks is huge. It will cost in billions to rebuild. According to the United Nations, 8 million people have been affected, and 1.4 million are in need of food assistance. Reaching the remote areas presents a special challenge. I live in the UK, but I was born in Thaprek VDC in Nuwakot district, about 100 km north-west of Kathmandu. Nuwakot district is very close to the earthquake’s epicentre. Saturday’s massive earthquake annihilated my entire village, including my home. Nature has rendered me homeless. I lost four relatives and more than a dozen other family members and neighbours are seriously injured. There is no government presence in Thaprek, and no rescue team has arrived since the events on Saturday. Villagers are facing a horrific situation. Injured people are awaiting for treatment. Children and elderly people are suffering as a result of the cold and rain. There is no water or food. Nuwakot, Gorkha, Lamjung and Dhading district, the districts surrounding the Kathmandu valley, are the areas most affected by the earthquake. The international community is sending rescue teams to help with search and rescue efforts, but that is still not enough. Foreign aid workers from India, China, UK, US, Singapore, Pakistan, Sri-Lanka, Bangladesh, Bhutan, Canada, Poland and EU are conducting search and rescue operations inside Kathmandu valley, but they are yet to reach the remote village areas. When I heard the news, I tried calling my family several times from the UK. Worryingly, the calls were not connecting. I started to panic. Each minute felt to me like one year. I succeeded in getting through by midnight Nepal time on Saturday, and was about to talk to my parents over the phone and get information. I asked my father to give the phone to my mother, and before I could speak my mother asked, “How are you? We are fine here, but lost home, relatives and the entire village.” I had prepared myself to hear bad news, as I had been watching the television coverage of the earthquake. I managed not to cry, controling myself while I was talking with mother. But when the conversation was over I could no longer hold back my tears. After talking with my family I tried to reach the Nepal police control room, and the US and Indian embassies in Nepal to arrange fro them to send rescue teams to my village. But the phone network was not working properly. On Sunday morning I started calling again about getting help for my village. I communicated with the Indian embassy and the US embassy via Twitter, but unfortunately they were engaged only with the situation in Kathmandu valley, and unable to send a rescue team to my village. 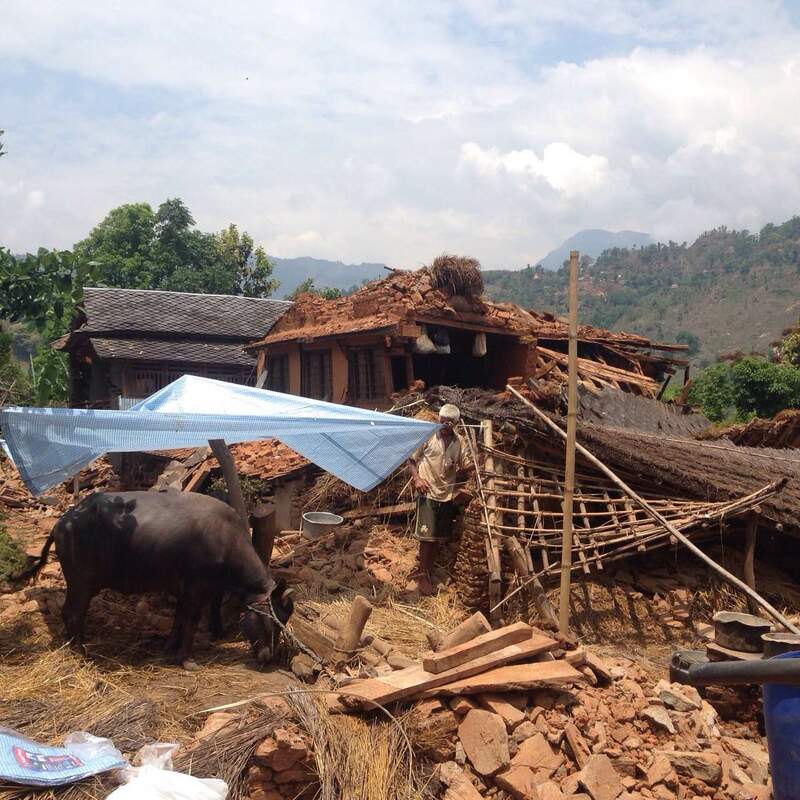 The earthquake has completely destroyed Laprak village. But since Saturday the residents of remote villages have been waiting in vain for rescue and search operations to arrive. According to today’s news, however, the Nepalese army is preparing a push into remote areas with aid.